Tips, Hints, & Strategies: The Myths of the Perfect Condition Used Book or Why You Should Write In Your Books | Save My Reading Life! No strong odor of any kind (including musty odor, cigar or cigarette odor). Basically, you are doing more damage to your rented textbook by carrying it in your backpack (which can easily ruin the spine/binding and tear out pages), dripping coffee onto it accidentally while you study, and storing it in your car or house where you may smoke or have animals with strong odors. There is no mention in the Amazon policy that writing in the text on its own will mean you forfeit your deposit. Amazon – Limited writing and highlighting is ok.
Chegg – Some highlighting is fine, but no writing (like pen/pencil) in the text. eFollett – Normal highlighting and writing is fine, as long as it’s not excessive. BookRenter – Highlighting and writing is fine; if excessive, there is a $15 fee. If you are planning to sell back a book and worry that annotation/highlighting might diminish the value of your book, there is good news and bad news. Good news: in most cases, annotation and highlighting does not decrease the value of your text. In fact, almost all textbook buyback policies say that limited highlighting and some writing is acceptable for books in “good condition,” meaning you will be offered the maximum price (See eFollett’s policy and Amazon’s policy). 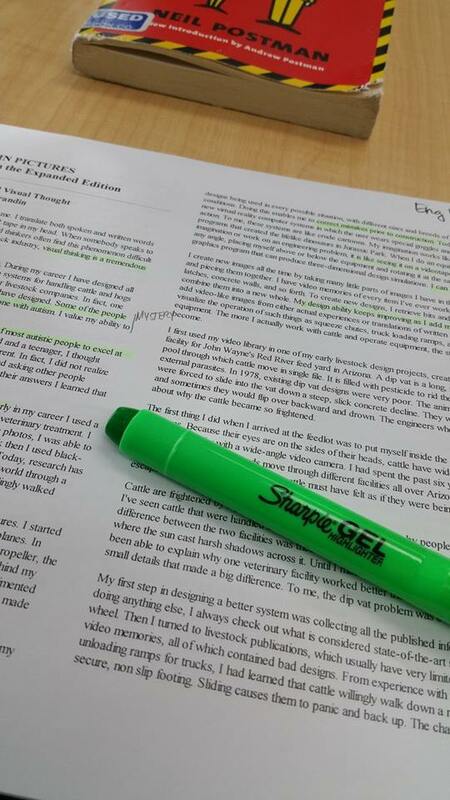 Writing and highlighting in books is both expected and accepted when pricing buyback books. Bad news: your book has already lost its value. Much like a new car driving off the lot, your book decreased in value the moment you walked out of the bookstore or opened the Amazon box. It does not matter how pristine you try to keep your book, the best you can hope for is usually 25-40% of the original price you paid. By not writing in your book, you are really only hurting your own learning since annotation and highlighting are proven methods. The condition of your book is neither a good educational investment nor a good financial investment. Use your best judgment. Read your rental agreement policy carefully. Contact the company with questions if it seems ambiguous or unclear. If you plan to sell your book, ask the store you plan to sell it back to exactly what the policy is so you can know exactly how much you can write in order to maximize your cash back. Make an informed decision and do not assume what you think the policy is without at first reading it. Annotation: Less is More. When it comes to writing in your book, minimal notes are best anyway because your notes should reflect the most important elements of the text. If the class is something you are heavily invested in, like your major, or a class you must pass to graduate, then it may be worth it for you to take lots of notes. Otherwise, keep it to a minimum; an occasional highlighted passage, or a note on the side will not diminish the value of your text or forfeit your rental agreement. Do not, however, use your rental agreement or your bookstore as an excuse to not engage with your books. By doing so you are limiting your own potential to do well in your courses. Annotation and highlighting can make the difference between a B grade and an A grade, and if that means you pay for the book entirely then perhaps you should consider it. If you still do not want to or cannot write in your book, there are alternatives! Products like sticky notes, removable highlighter tape, sticky flags, and good pencil erasers are for you. Do not limit your learning simply because you cannot write in your book. Find creative ways to make annotation happen and your learning will improve. Pingback: Better Reading Strategies Workshop | Save My Reading Life! Pingback: Tips, Hints, & Strategies: Reviewing is Not Rereading! (And, Rereading is Not Reviewing.) | Save My Reading Life!